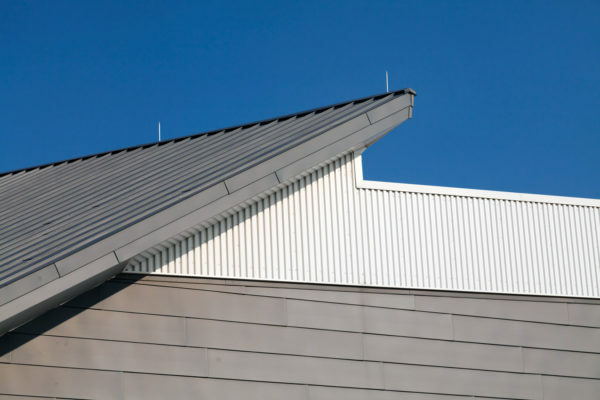 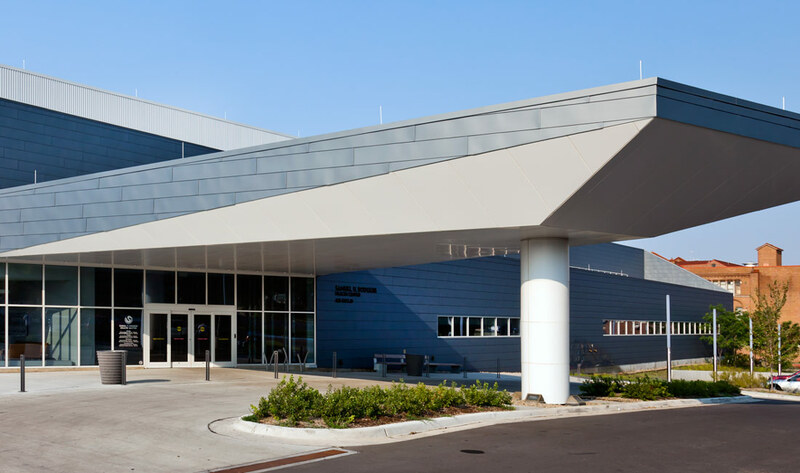 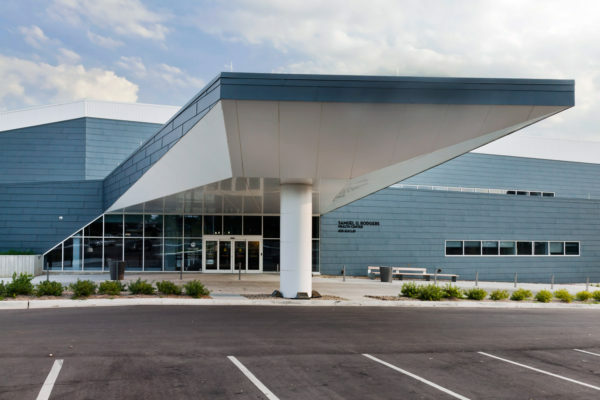 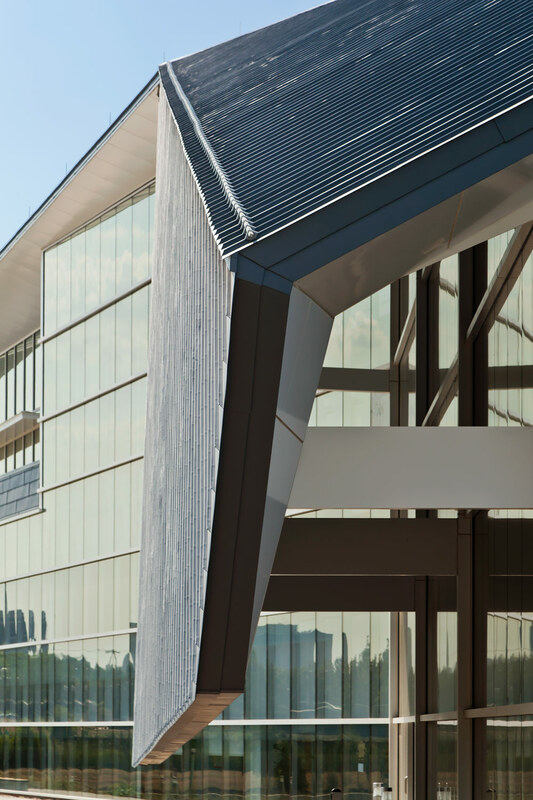 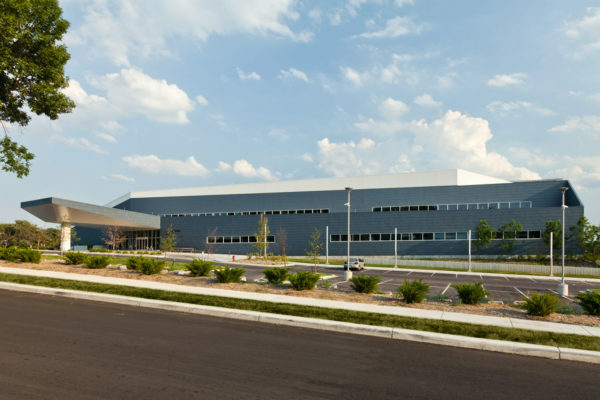 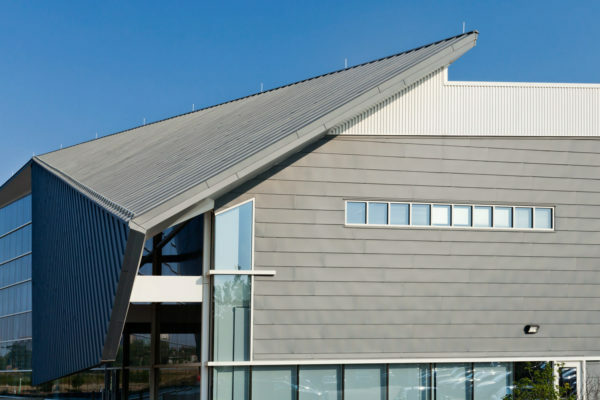 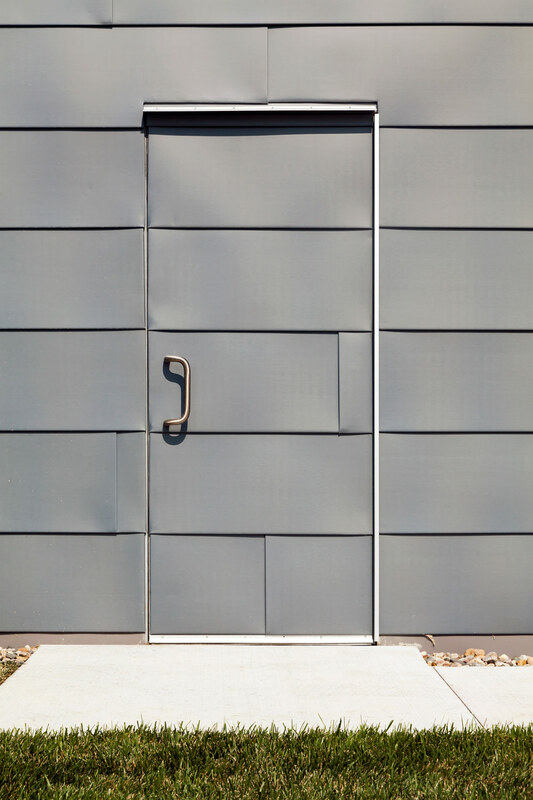 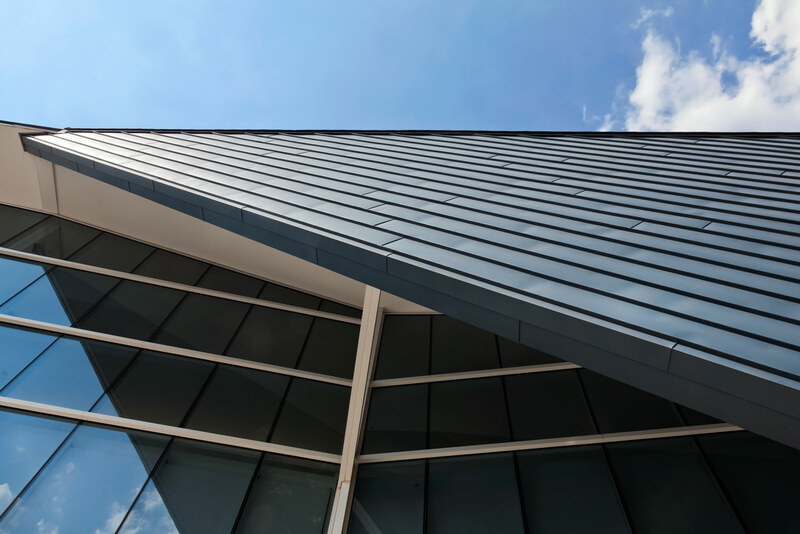 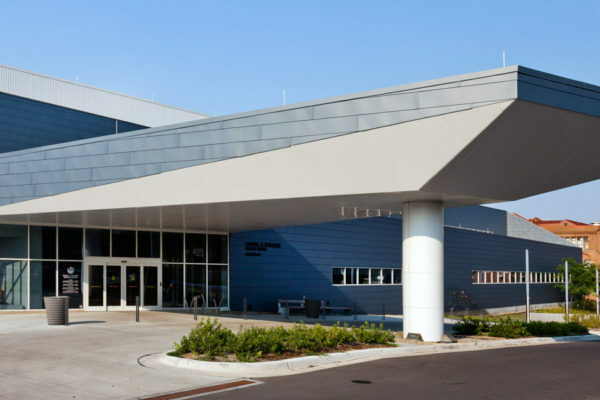 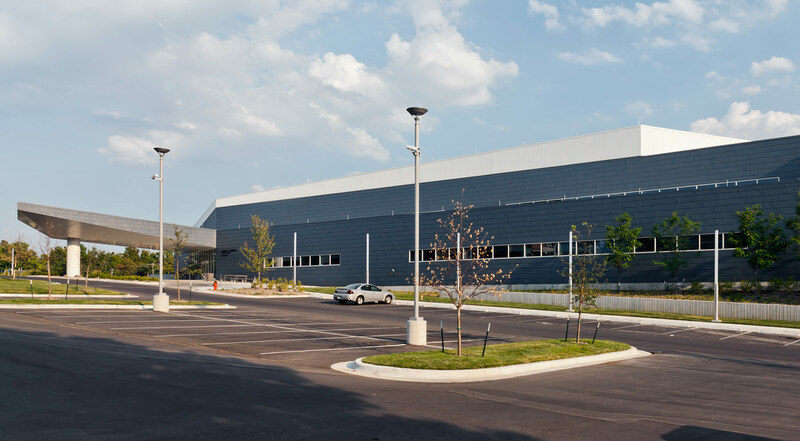 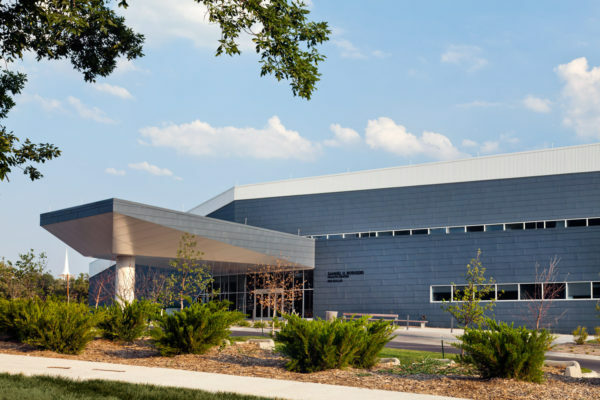 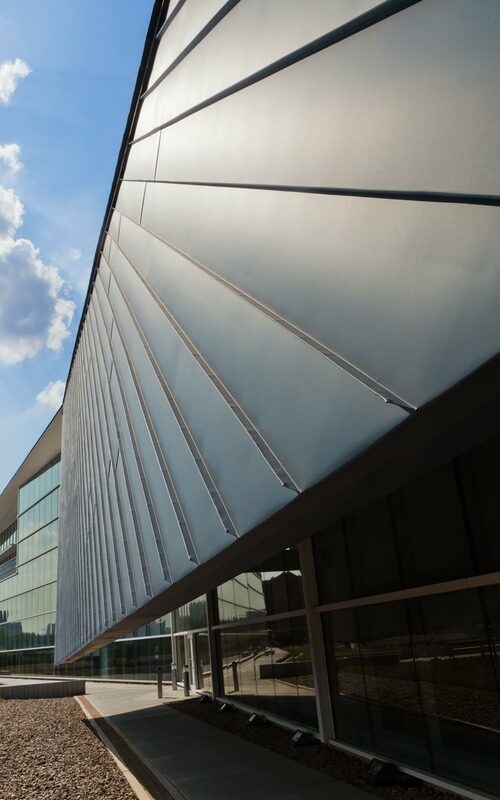 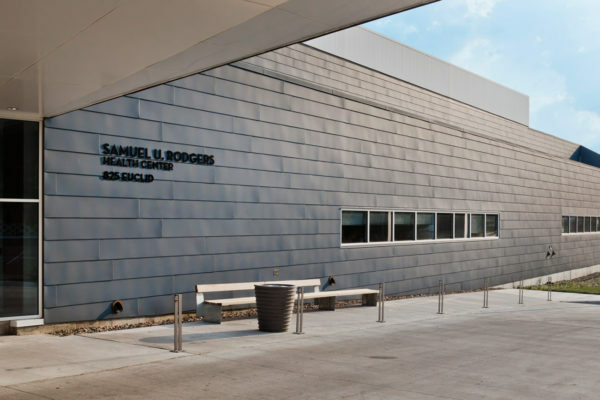 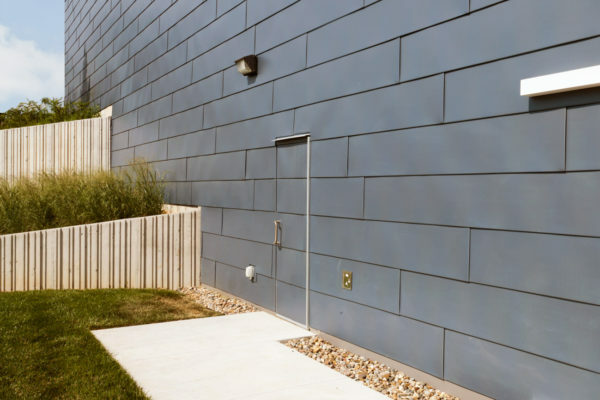 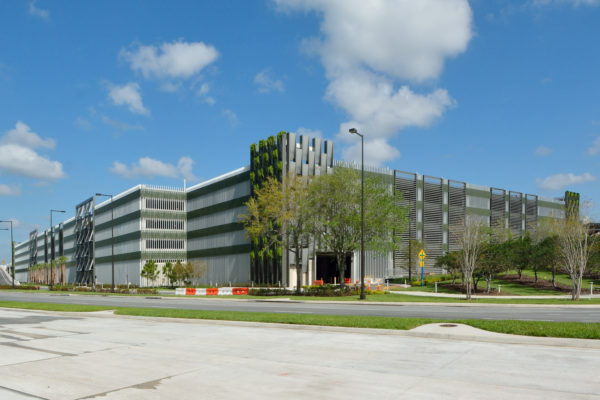 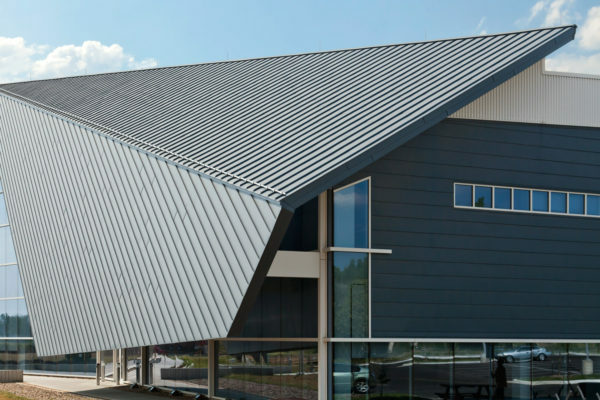 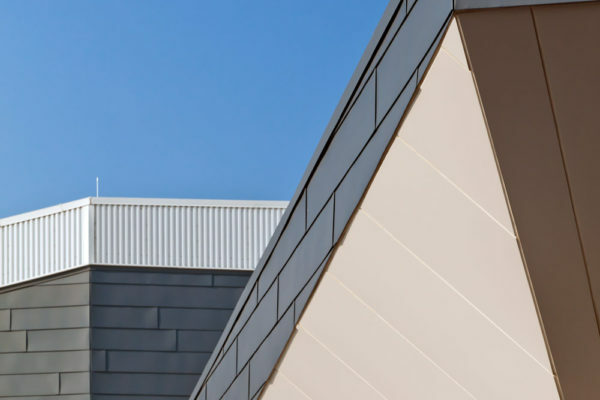 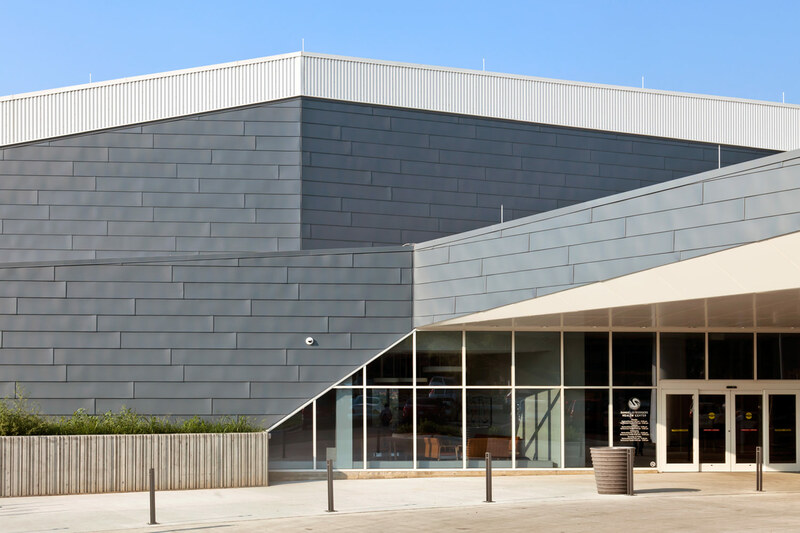 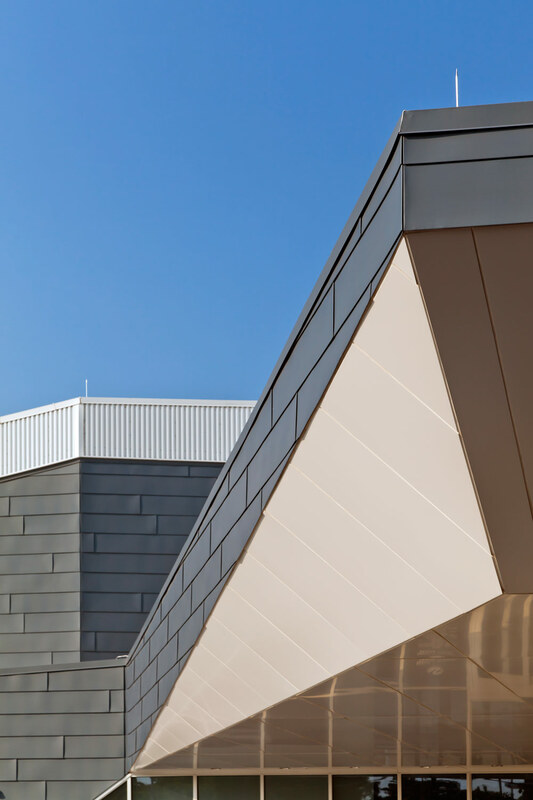 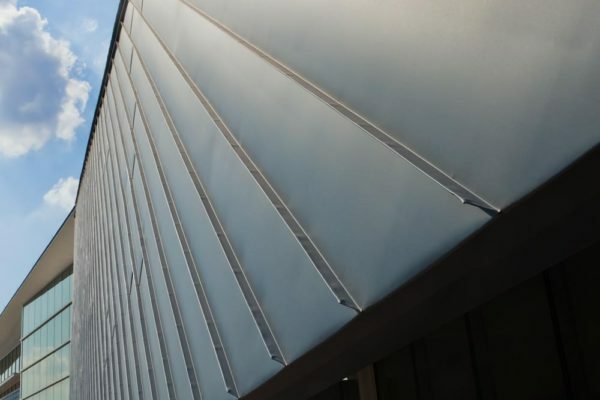 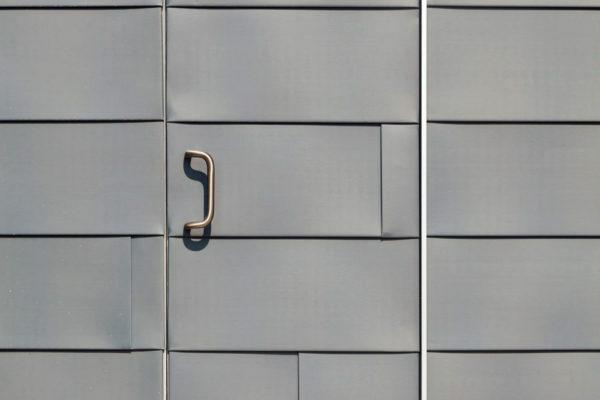 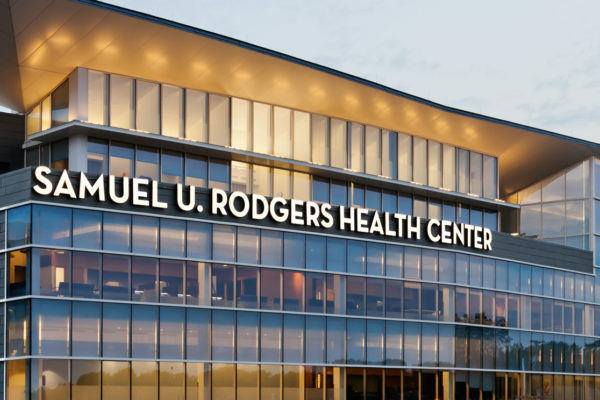 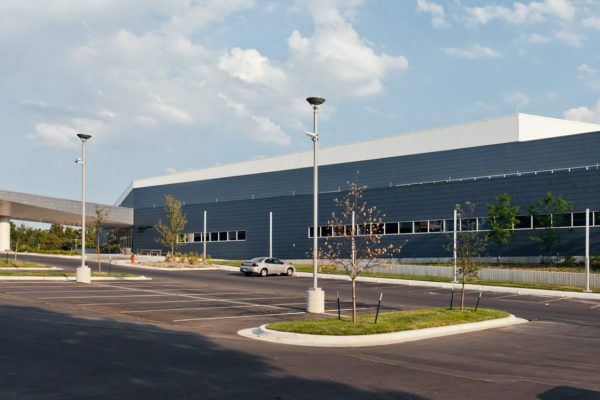 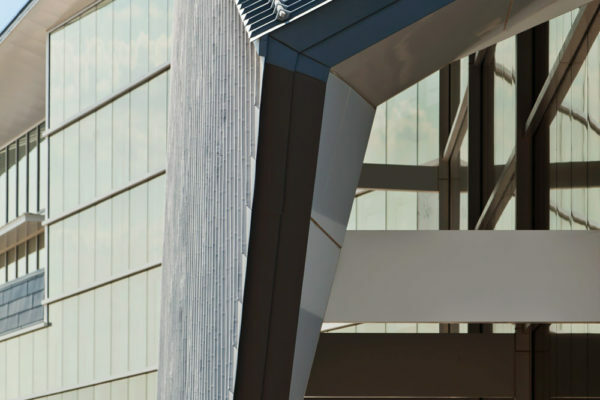 Using VM Zinc’s pigmento blue product SSM produced Standing Seam Roof Panels and Lap Seam Wall Panels for the primary cladding material and then used Alcoa’s 4 Rib Corrugated Panel. 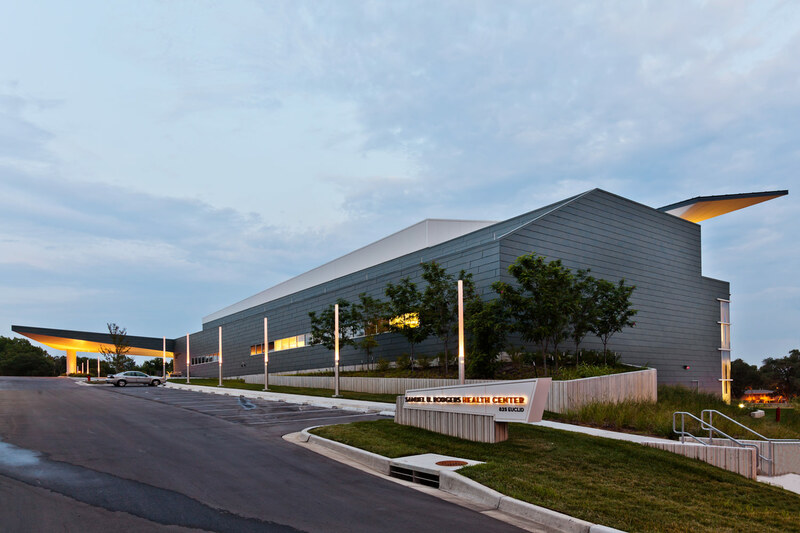 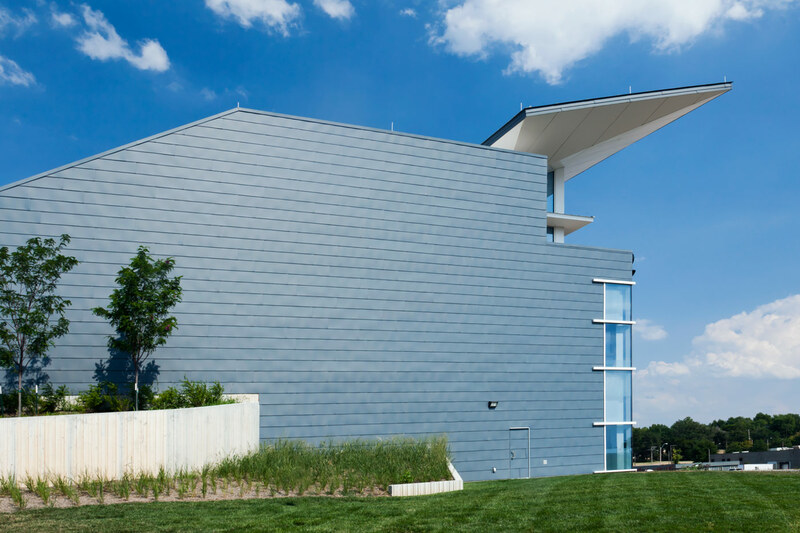 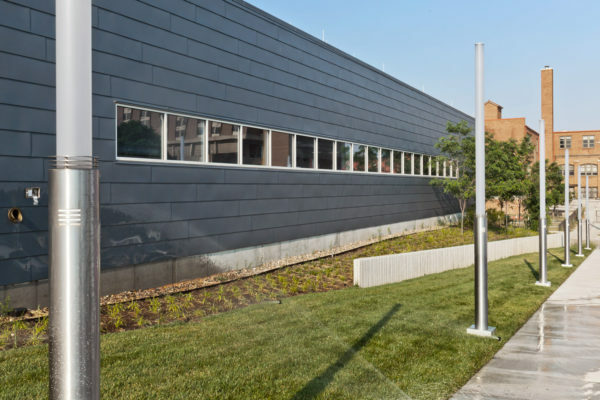 The last step, to finish out the project, was SSM’s SSM100 ACM Composite Panel Solution as used on the soffits. To cap everything off, SSM shop formed the pre-finished copings, fascia, flashings & trims.